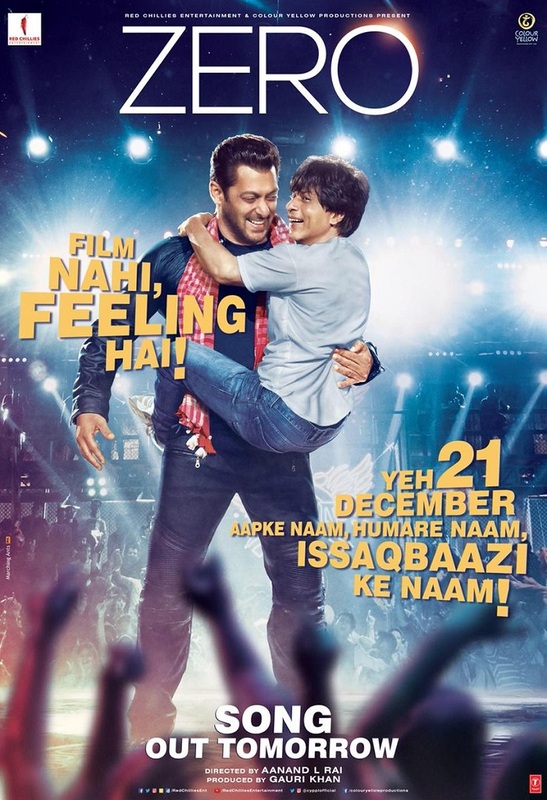 Much awaited Issaqbaazi Song from Zero will be out tomorrow that is on 4th of December, 2018! We will get to see the 'bromance' of Salman Khan and Shah Rukh Khan in the song. Yes, Salman is making a guest appearance in the film and will be seen dancing alongwith SRK. It is rejoice for all Salman and SRK fans! jab iss tarah karta hai ye #Issaqbaazi . Zero is one of the most awaited film of the year. Trailer and 'Mera Naam Tu' received positive response and big thumbs across movie lovers. Film will enjoy Christmas extended weekend and set to take hurricane start at box office.